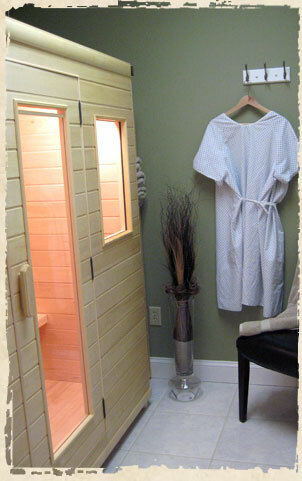 Profound detoxification benefits occur with the far infrared sauna (FIR). 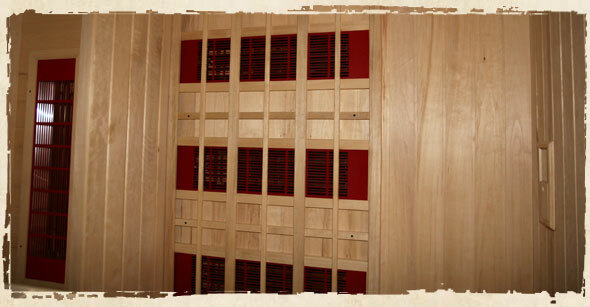 This sauna works to release toxins in the body. Since the skin is the largest organ in the body, the FIR encourages perspiration, which in turn allows toxins to be removed through the skin. Sweating has been used by people for centuries throughout the world to effect detoxification. A connection has been made in current research between the FIR and nitric oxide (NO). NO signals the blood vessels to dilate (increase in width). Why is this important in health? A key factor to health is blood circulation and the ability for circulation to move through the body as required for each and every organ. When the body is creating accurate amounts of nitric oxide, atherosclerosis and plaque formation may occur less and could be reversible. NO is responsible for preventing the formation of blood clots and allowing the arteries to be clear of plaque. NO can also assist in the occurrence of strokes. The immune system utilizes nitric oxide to stave off infections, bacteria, viruses, and parasites. It can also inhibit the proliferation of specific types of cancerous cells. NO may also be related to swelling and discomfort with arthritic changes in the body. It is thought to be an anti-inflammatory. Further research is being evaluated. Lastly, nitric oxide has been studied showing that it may increase endothelial nitric oxide synthase and assist in promoting insulin sensitivity. Sweating can assist you with a healthier cardiovascular system, which will lead you to a healthier life. Other medical conditions that FIR can benefit include: improvement of mild depression, congestive heart failure, chronic pain, joint stiffness, muscle spasms, the endocrine system, metabolic changes, and weight loss.